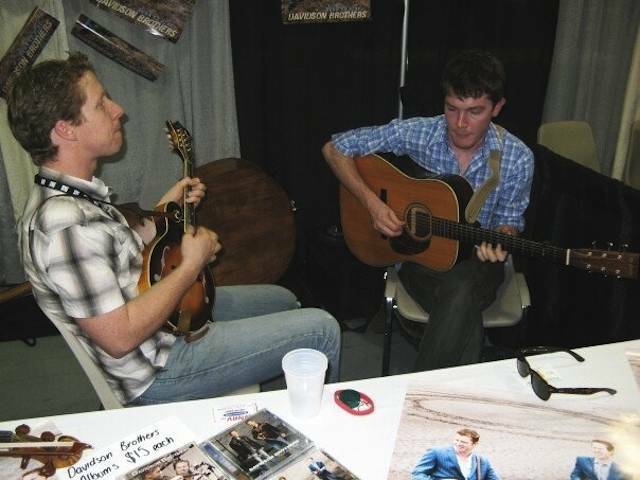 One of the great things about editing AustralianBluegrass.com is we get to bring interesting articles and good news stories about bluegrass and old-time music happenings. Sadly today we announce that one of the more disappointing aspects of our work includes the announcement of a musicians tragic loss of their instruments. 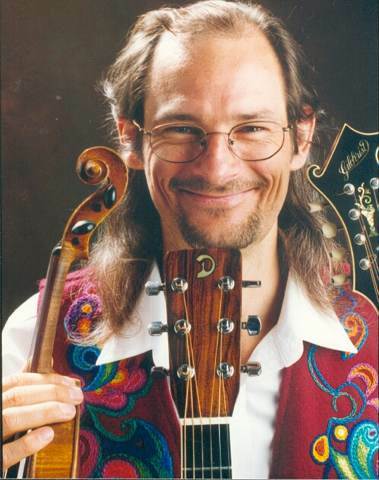 Phil Jones is a well known and highly respected Western Australian musician who has lived and performed in both the UK and Australia as both a solo artist and band member. 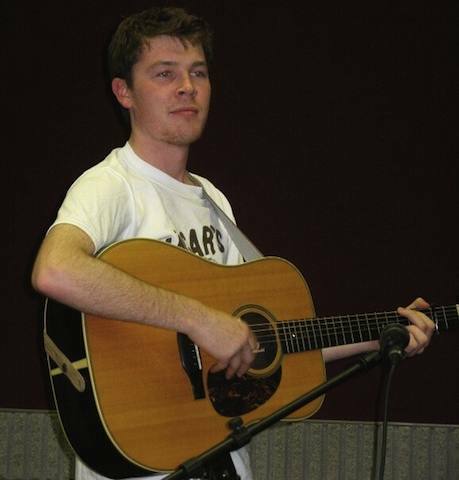 Phil has (had) a wonderful collection of guitars to support his musical endeavours. This past weekend thieves broke into Phil’s house in the Perth suburb of Baldivis. Thieves left with a variety of the owner’s belongings including Phil’s personal guitar collection. This is a crime so low that it requires all the help we can muster to help re-unite Phil and his guitar family. A musician deprived of his instruments is somewhat like a mate loosing a loved one. Fender Stratocaster, Serial No. 475666, Dark Blue, customised with gold Fender Lace pick-upsAll guitars are in the original manufacturer cases, (Black Fender case in poor condition, Blue Grey Martin flight case, black reinforced Larivee case with shoulder strap. Guitar straps x3, brown velvet leather, fender strap black and gold, rainbow strap. 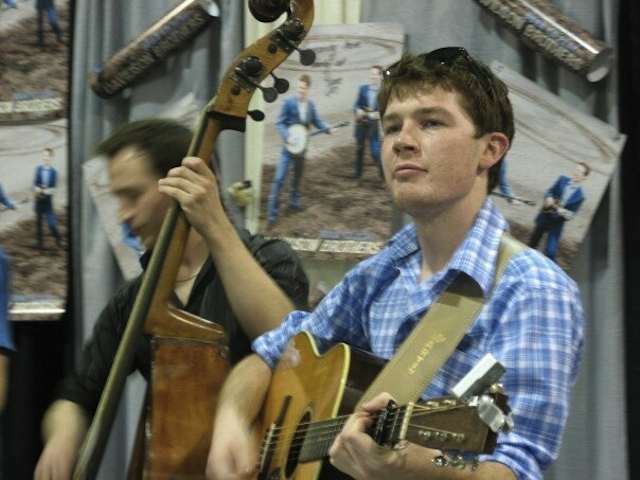 Our friend and regular jammer, Kenn Sharples from up in Queensland has had 2 extremely valuable banjos stolen from his home in New Farm in Brisbane. This happened 3 nights ago, while Kenn and Fay were asleep at their home. Kenn also lost a number of other valuable items including a computer. 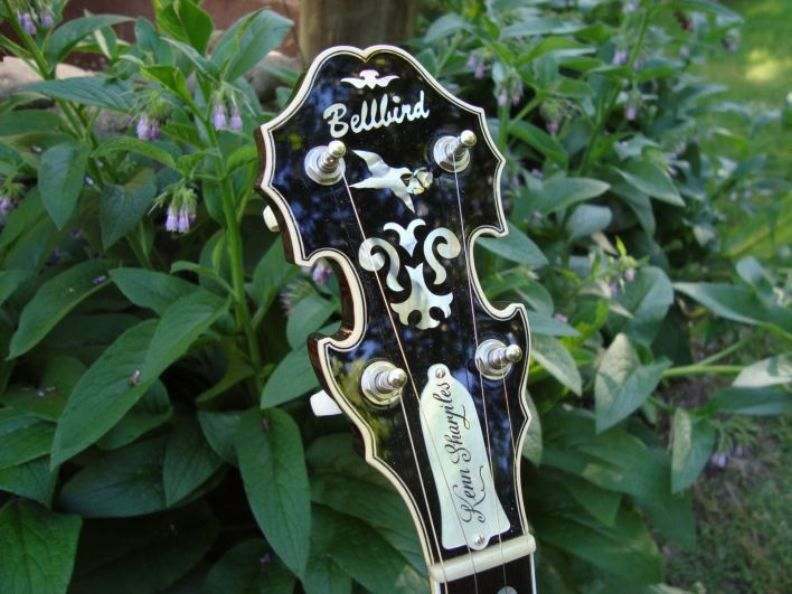 One of the banjos was his beloved Bellbird banjo (details below) and the second was a very rare 1918 Paragon 5-string banjo. Both banjos are very distinctive instruments. “Kenn Sharples” engraved clearly engraved on pearl truss rod cover. We don’t have a specific description for the Paragon banjo at this stage but one is on the way. These are quite distinctive and thus will be difficult for the thieves to sell. 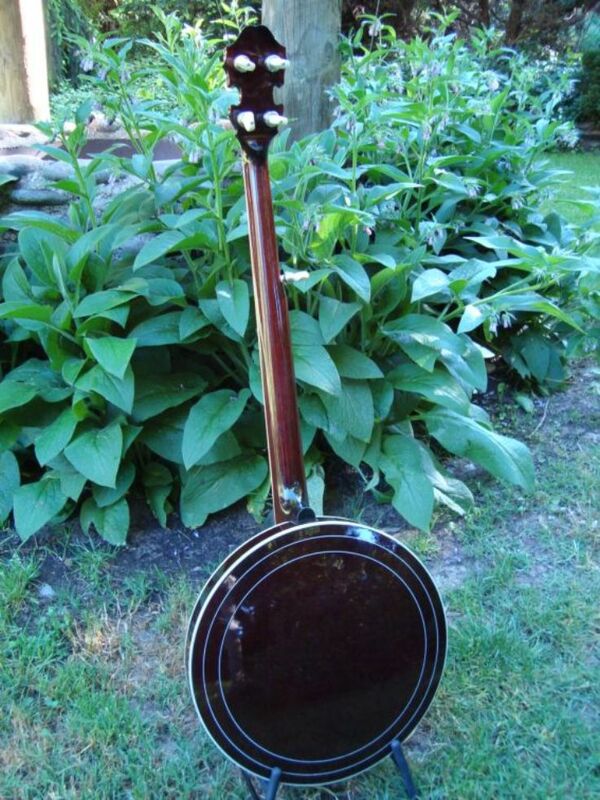 Please keep an eye out for these banjos, and notify us here if you see or hear of anything. Sadly also for Kenn, his mother passed away the next day and he has had to head off to Rockhampton for the week. Our thoughts, prayers and sympathy to Kenn and Fay for the passing of his mother. Daniel Watkins’ De Gruchy dreadnought guitar has been taken from the festival he last played at over the January long weekend. The following words from Daniel explain the loss. I hope everyone has been enjoying their new year, taking it easy and enjoying some free time before its time to get busy again. 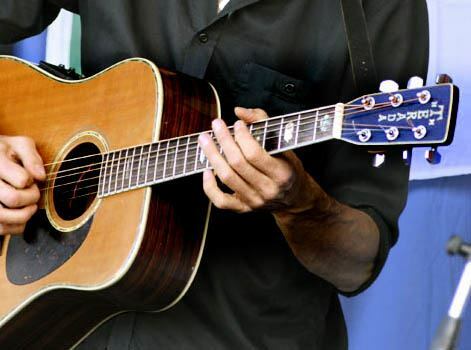 Sadly, I have had a few setbacks since the start of 2010. the biggest setback was having my guitar lost (or stolen, though I hate to think that) at the Woodford folk Festival near Brisbane last week. I first noticed my guitar was missing on Friday 1st January 2010. I was performing at the Duck and Shovel Stage the Day before and, to my knowledge was the last time i had used it. I believe I either put my guitar back in the instrument lockup next to the stage or left it backstage underneath a desk – Daniel Watkins. If any one believes they know anything about my guitar and its whereabouts, or knows people in the Australian Folk music scene who may be able to spread the word, your help would be very much appreciated. Last month multi-instrumentalist, Andrew Clermont reported the theft of his guitar, a much loved Terada Acoustic. It was stolen shortly after he had played a festival in South Australia, just south of Bordertown and was making his way back home. It appears that the local word of mouth has led to the identity of the culprit. This morning Andrew has advised us that his greatly cherished Terada guitar has been located and is on its way home. As of end of this week I will have it back in my hands. It was ‘returned’ last week near where it was stolen. Someone overheard someone who heard from someone and by local wind and pressures brought to bear, it has come home.Â Yay! Andrew Clermont has reported that his guitar was stolen this month. 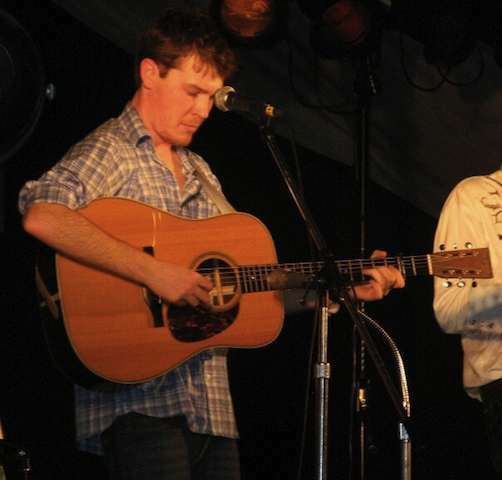 His guitar, aÂ Terada Acoustic Guitar (pictured right) was stolen on Saturday morning early on theÂ SA/VIC border just south of Bordertown so could be headed in either direction. Identifying features include an AGA Phase 2Â preamp/ pickup system installed, visible in on the top left of the picture above andÂ it has chunky fingerboard inlays. 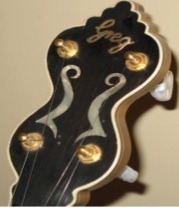 it’s a Martin look alike with ‘Terada’ inlayed on the headstock. It was in a Maton (big imprint) case with a Dya Singh sticker along with a few others. It has a black guitar strap with a red patch and gold Chinese characters printed on it. Please, please keep an eye out and spread the word as it is extremely rare, very identifiable by it’s headstock & preamp, and likely to turn up anywhere. I’ve had it all it’s 28years.Â Tragic but it’s happened, all the festival was in shock. I’m still in shock. This is the guitar I won all my Bluegrass Guitar Championships with in the 80’s, older than my children, bought by my family for me at the end of high school.Â It’s irreplaceable. I’m sure it will turn up, hope you can help, yours ever musically, Andrew ClermontÂ Â Ph 0407753809. Morgan Music, a music store in the Ozarks that recently was devastated from a fire, has had another round of bad luck. Their temporary space was broken into and several instruments were stolen. Be on the lookout for the following instruments. Squier Mini Stratocaster S/N IC080129026. 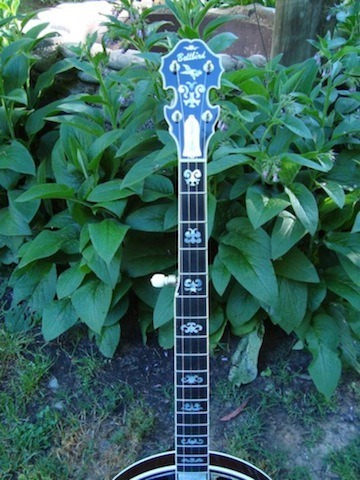 The Northern California Bluegrass Society has listed the instruments on their National Missing & Stolen Instruments online service.